John Woods was born at Castleblayney, County Monaghan, Ireland in 1828; his parents were named Moses and Nellie. 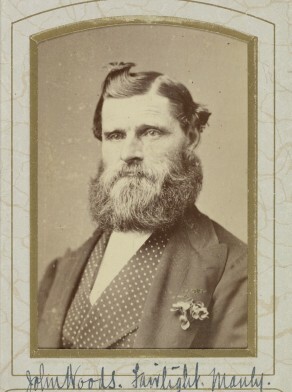 Woods arrived to Sydney with his wife Margaret in 1853, where he started a carrying business. Woods died at ‘Leona’, Manly, on 13 July 1904, after a paralytic fit followed by a fall from his carriage. He had nine children. An obituary in the Sydney Morning Herald noted that he was one of Sydney’s oldest residents, and had celebrated his golden wedding anniversary in 1903. In April 1858, with Thomas McKeown and James Smith he was granted a council contract for the emptying and cleansing of privies throughout the City. At this time he was a dray contractor of Bullanaming (now Renwick) Street, Redfern. He also became an agent joining Thomas McDonald to form Woods & McDonald, agent for carriers, at 25 Campbell Street. He later founded the carrying company called Woods, Shortland & Co. By 1873 this company had expanded and was based at Glenfield, Liverpool. In 1861 Woods’ address as a contractor was in Redfern but by 1863 had moved to the Corso, Manly Beach. 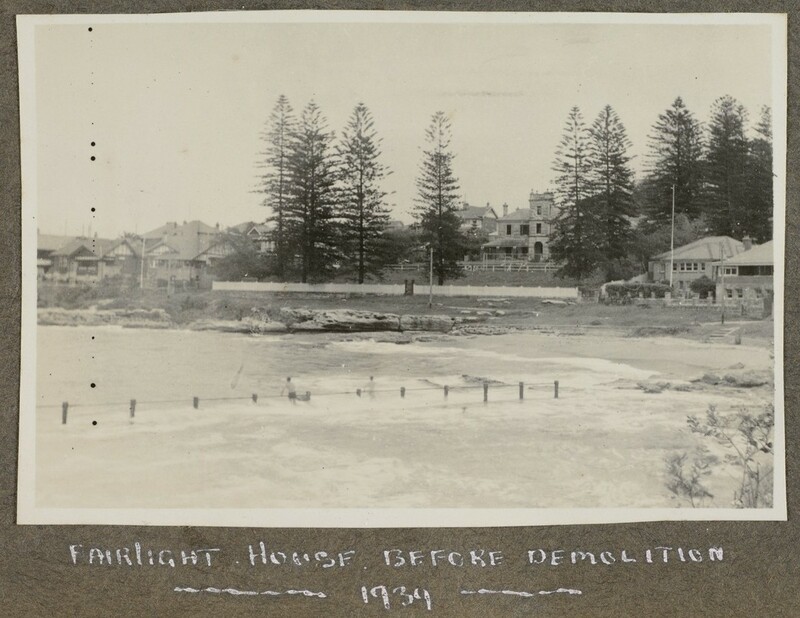 In 1873, he was living at The Esplanade, Manly Beach. In 1880 he bought Fairlight House, built for Henry Gilbert Smith in 1854. Woods added the distinctive tower and porch in the early 1880s. He caused a public protest when he attempted to buy the public reserve in front of his house for private use in July 1882. From 1876, John Woods was a Director of the Port Jackson Steam Boat Company, becoming Chairman in 1882. In 1877 he received a presentation for his services to the Co-operative Fire Brigade. He was Returning Officer for Manly Council in February 1877 when fellow city Alderman Thomas Rowe was returned as first Mayor. In 1883 he was the first chairman of the Manly Gaslight and Coke Company. 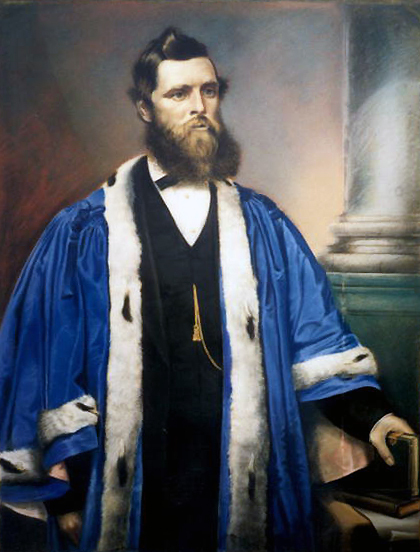 John Woods was elected to Sydney City Council as Alderman for Denison Ward from 1 December 1860 to 1 December 1872. 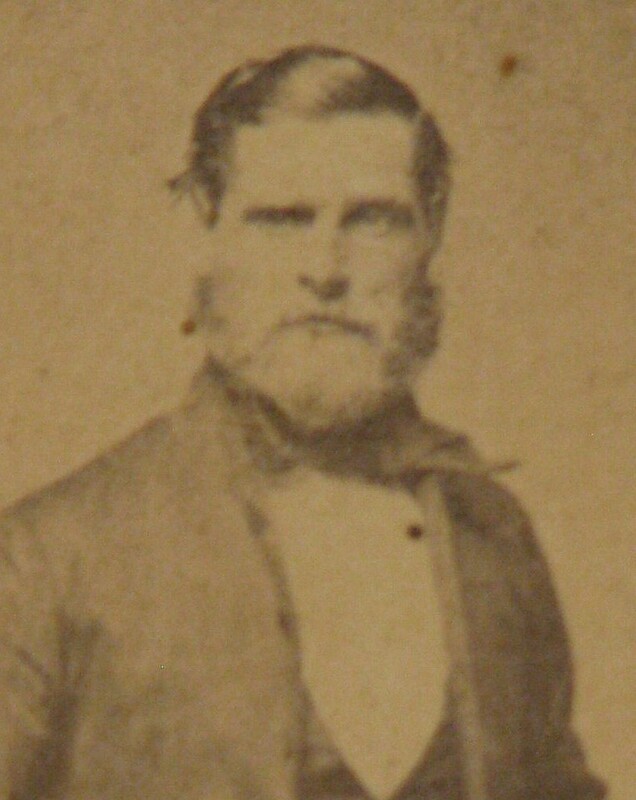 Woods was Mayor in 1865.